Welcome to our website, there is lots to do here - check out these categories, and see the tabs at the top for even more options. 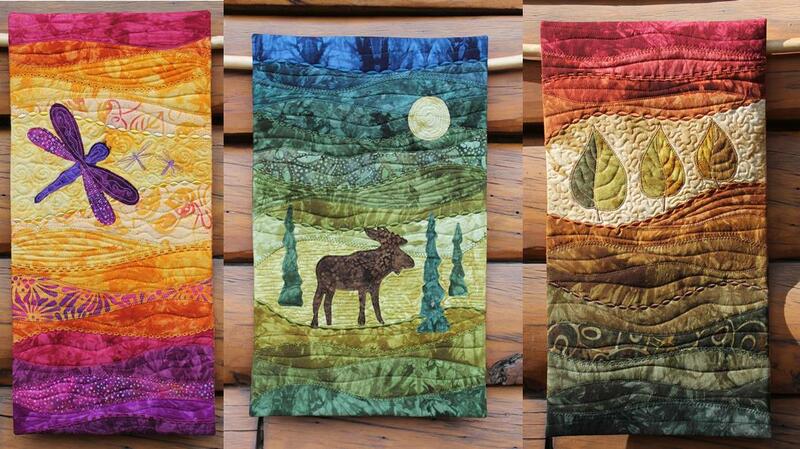 Unique quilt kits available as wall hanging quilts, table runners, quilted cards, and more. Most also available as printed or downloadable patterns. ​Plus free shipping on all U.S. orders! Want to learn free motion quilting, a new technique, or get tips on some you already know? We have lots of tutorials and are adding more all the time. Several classes also available in our new classroom, or can travel. New quilt projects and sewing techniques to share. Plus regular Alaskan-inspired creative adventures.